PROVO CANYON — Search and rescue officials located the body of a 4-year-old Tuesday who was swept down the Provo River Monday afternoon. London DeDios went into the water near Bridal Veil Falls Monday around 4 p.m. Officials said her body was located about 1 mile from where she fell into the river. Her body was located by crews shortly after 11 a.m., Tuesday, according to KSL News. The child’s mother and four other adults jumped in to rescue the girl, Utah County Sheriff’s Sgt. Spencer Cannon said. Three adults were able to get themselves out of the river, but London’s mother and another man were pulled from the water at the Murdock diversion dam near the mouth of Provo Canyon. 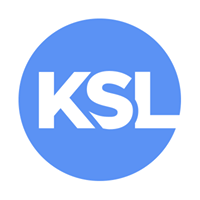 Written by FAITH HEATON JOLLEY, KSL News.com.